Lizzie Kelly will be bidding to become the first female jockey to win the Grand National when she competes in the saddle of Tea For Two at Aintree. Charlotte Brew made history when she became the first female jockey to compete in the event in 1977. There have been significant strides since in the saddle by female jockeys, although no women has managed to make the breakthrough yet to clinch the crown. Katie Walsh was the closest in 2012, but she placed in third with Seabass. Bryony Frost enjoyed a solid debut in the race last season, placing fifth with Milansbar. Frost will miss the 2019 meet after breaking her collarbone in a fall just four days removed from winning the Ryanair Chase on the back of Frodon at Cheltenham Festival. Kelly has established herself as one of the leading jockeys on the circuit and will aim to get the best out of Tea For Two at Aintree, although the horse is backed at odds of 40/1 by PaddyPower for the event. Kelly became the first female jockey to win a Grade One race on the back of Tea For Two so there is proof that the two competitors can combine to make further history in the National. However, Tea For Two has not been in the best of form over the course of the 2018/19 campaign. The 10-year-old was one of the leading contenders for the Tattersalls Ireland Edredon Bleu Chase at Huntingdon, and although Jane Williams’ charge was competitive in the race, he could only place in third off the pace of the winner, Charbel. 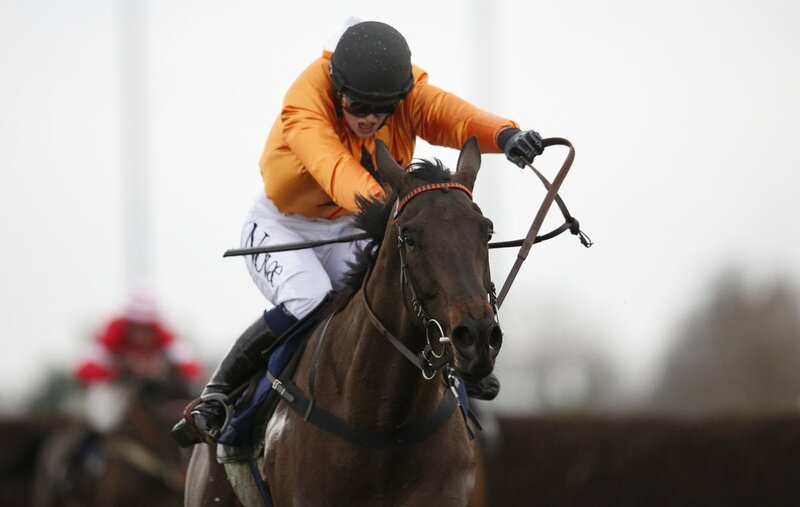 His next outing pitted the horse against the elite of the field in the King George VI Chase. Kelly in the saddle was riding as an outsider at 33/1 against Cheltenham Gold Cup winner Native River among others. Once again, Tea For Two put forward a solid effort, but it was only good enough for sixth place as Clan Des Obeaux claimed the crown. The bay gelding did finish ahead of Might Bite, highlighting the potential of Williams’ charge against champion competitors. Kelly was not present at the start of the year at Taunton in the Portman Cup Chase. Chester Williams took the reins on this occasion, but was unable to get a display out of the bay gelding. Tea For Two struggled on the track and pulled up after failing to find his peak rhythm. Williams still put her charge forward for the Cross Country Chase at Cheltenham Festival despite the setback. Kelly returned to the saddle, although she was faced with a truly elite horse for competition in the form of defending champion Tiger Roll. Tea For Two failed to fire once again and he unseated Kelly after making a mistake at the 21st fence. The 23-year-old and the horse were unharmed, but it remains to be seen whether the bay gelding can find his peak form once again to challenge at the National. He will be facing elite competition once again as Tiger Roll bids to defend his title from 2018. Kelly will have to anchor the ride of her life to make history at Aintree.